Gretchen Carlson is an award-winning journalist and host of FOX News Channel’s The Real Story with Gretchen Carlson, covering current events, politics, and investigative reports. 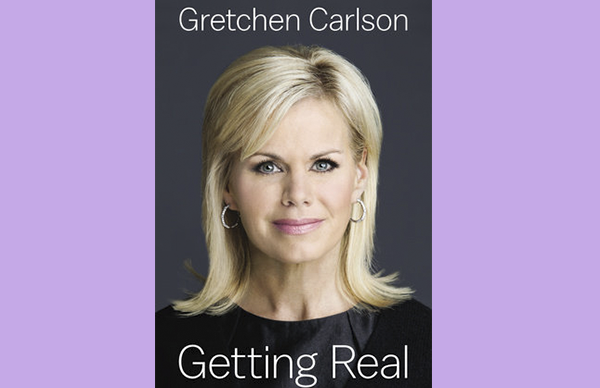 In her upcoming memoir Getting Real (June 2015), Carlson opens up the conversation of what it means to be an ambitious and attractive career woman in America today. An inspiring, candid, and charismatic speaker, Gretchen Carlson addresses corporate and non-profit groups across the country. Gretchen Carlson was born in Anoka, Minnesota, where her family’s life revolved around the Lutheran church that her grandfather led as minister. Before beginning her award-winning career in television—she has won two Emmy awards for her work at CBS and the American Women in Radio and Television “Best Series” award for her series on domestic violence—Carlson was the first classical violinist to be crowned Miss America in 1989 (she still serves on the board of the Miss America Organization today). Though often dismissed as a “blonde bimbo,” Carlson was valedictorian of her high school class, a graduate of Stanford University, studied at Oxford, and eventually pursued and landed a job in TV news. She went for it, and after paying her dues in the trenches, she rose up to anchorwoman as she moved from Richmond to Cincinnati to Cleveland to Dallas—years that would bear testament to the dedication and perseverance that are Gretchen Carlson’s trademark. Before ultimately rising to anchor of The Real Story with Gretchen Carlson, Carlson co-hosted Fox & Friends for eight years and served as a CBS News correspondent and co-host of the CBS Saturday Early Show. Throughout her career she has reported on numerous national and international events, from the 2008 and 2012 presidential elections, to breaking news stories including the Columbia space shuttle disaster, the terrorist attacks on September 11th and the execution of Timothy McVeigh. Gretchen’s humor, sharp insight, and journalistic integrity are as engaging on television as they are on the lecture podium. With her inspirational drive for success and her ability to laugh along the way, Gretchen Carlson is a woman not afraid to lean in to the real world, to chase her dreams and to embrace opportunity fully. An unceasing advocate for respect and equality for all women, she shares her own struggles with body image, pageant stereotypes, and building a career, encouraging women to strive for their goals. In this inspiring lecture, Gretchen Carlson holds nothing back. Reflecting on her life and career, she addresses the judgments she faced first as Miss America—including judge William Goldman labeling her “chunky”—and later as a woman building a career in the competitive world of broadcast television. Reflecting on her time as a working mother, Carlson brings to life the joys and the challenges of raising children while pursuing a career. She shows her audiences that faith, conviction, and family buoyed her as she pursued her dreams and continued to challenge those who tried to dismiss her as a beauty queen.